Offering helpful instruction, our library of Ignitia resources provides a wealth of information for teachers, students, and administrators to get the most out of our online curriculum. 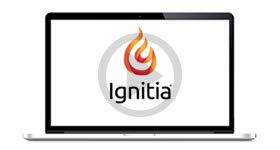 Quickly get started in Ignitia with these quick start guides. For more detailed instruction and information, see the reference guides below. Find practical tips and helpful resources in these user guides that cover Ignitia's features and functions for teachers, students, and parents. Watch Ignitia tutorials to find answers to frequently asked questions, as well as practical training for administrators and teachers. Be prepared for in-class experiments with these supply lists for 13 Ignitia science courses and electives.